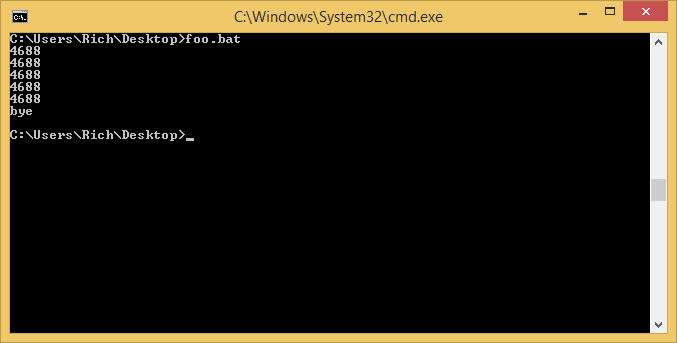 Ask Rich: if I wanted to perform math on the output of a cmd line string… can I do it? 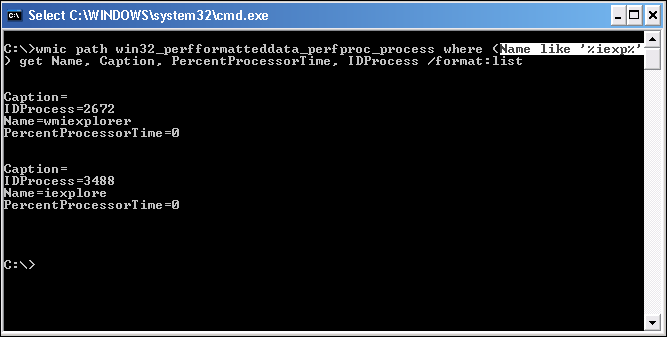 I was asked if it was possible to perform math on the output of command line string. Can it be done? 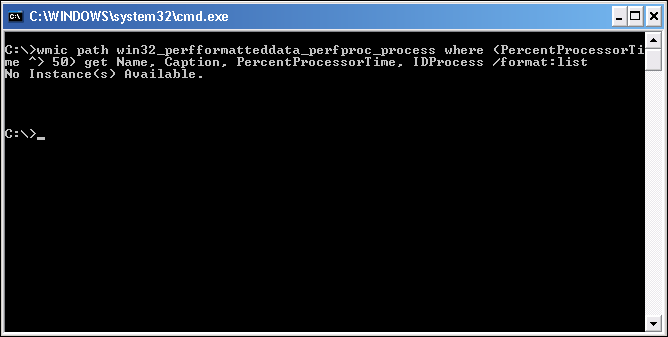 Wants to divide by 1024 and check ever 5 seconds for 5 iterations. Here’s my adapted batch script. Here is a quick command to get all the application GUID’s on the current system using WMIC command and put them into a CSV for import into Excel. I recently found when trying to issue a wmic query on a remote system with psexec (1.98) it would hang and not display results. The solution is to redirect STDIN to NUL. 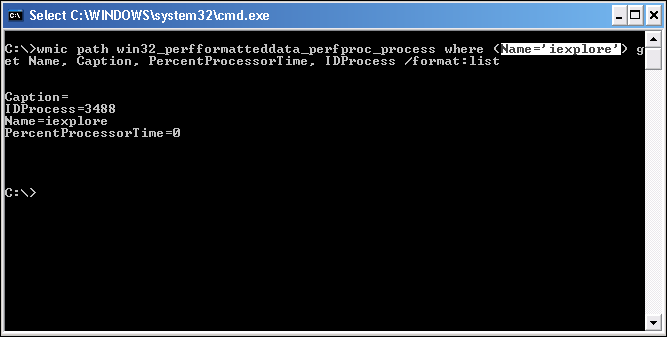 psexec computer cmd /c "wmic path win32_usbcontroller < NUL:"
I found this solution on Sysinternals forums from June 2011. 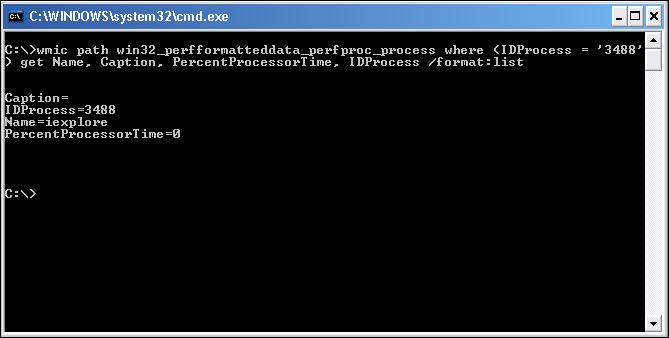 Here’s a quick command line method for grabbing CPU usage of a process by process id, process name, or caption.